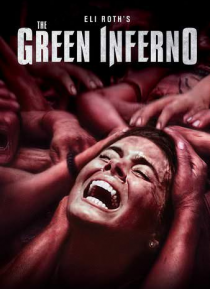 The mastermind behind the Hostel franchise and Cabin Fever, horror auteur Eli Roth, serves up a feast of gut-wrenching terror in the gruesome fear-fest The Green Inferno. Determined to protect the Amazon rainforest, a group of student activists fly to Peru only to crash-land deep in the jungle. Captured by a pack of bloodthirsty cannibals, the survivors suffer unspeakable acts of butchery at the h… ands of the very tribe they were trying to save.